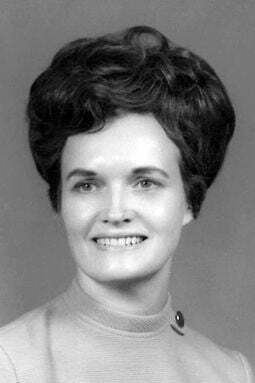 Joan R. Wolford, 90, Lincoln, passed away December 27, 2018. Born February 16, 1928, in Goshen, Indiana, to Frank Thomas and Edith (Raabe) Florstedt. Homemaker. Joan was a member of Sheridan Lutheran Church, Hope Circle of the church, Stretch-Your-Life at BryanLGH East, and Beta Sigma Phi sorority. For over 20 years, Joan was a hostess at The Pantry Restaurant, volunteered for Meals-On-Wheels and Lutheran Food Pantry. Family members include her husband James; sons John B. (Suzanne) Wolford, Lincoln, Dr. Jerald F. (Dr. Margit Royal) Wolford, Paris, Va.; daughter-in-law Kathie Wolford, Overland Park, Kan.; grandchildren Eric, Amie and Jennifer; great-granddaughters Quinn and Clara. Preceded in death by her parents, son Paul W. Wolford, brothers Robert and Luther, sister Edith. Funeral service: 11 a.m. on Wednesday, January 16, at Sheridan Lutheran Church, 6955 Old Cheney Road. Memorials to Sheridan Lutheran Church or donor's choice. Visitation with family present from 6-7:30 p.m. Tuesday at Roper and Sons, 4300 ‘O' Street. Arrangements entrusted to Roper and Sons Funeral Services. Condolences online at Roperandsons.com.